This morning there was a car crash on the street in front of my house! There were 2 cars involved. One car car hit another car in the rear, and it's front got all smashed up. The car that got hit in the rear spun outta control and hit a tree. The reason why they crashed was because it snowed for the first time this winter outside, and the road is very icy. Has anyone else seen or experienced any car crashes like this? Well, once I was on the interstate while it was really rainy and such (my Mom was driving, and I was sitting shotgun), so we were taking the roads about 15 mph below the speed limit. Anyways, this car sped past us and then began to hydroplane. He spun into our lane, then spun back into his, then went off the road and hit a fence. It was a very odd experience. I have seen it all I saw a Schneider truck run over a Yugo, two cars tried to get into the same lane at the same time, lots of spin outs on the ice. The funniest one that I saw was were a car was passing on the right (curb lane in the U.S.) and hit a beer truck that had just started to turn out. You don't cry over spilled milk but what about crushed beer? Another time a car passed me with the driver being asleep he slowly drifted toward the center divider hit it, he then woke up then and took off. Another time an old car passed me then their tie rod broke causing it to veer towards the curb, when it hit the curb the wheel caught and it rolled about three times. I was in one where I was on a mini-bus and there was a van behind us and a car in front of us. I'm not sure what happened but the car in front I think suddenly stopped causing us to stop, causing the van to run into the back right corner of the bus and then crash into the center divider thingie. Most everyone was fine, a few hurt necks and the driver of the van needed knee surgery. One time my mom spun us out on the ice, which was scary, but we didn't hit anything. Another time I spun out on ice, near an intersection, I didn't hit anything but did end up sideways on the road. I've twice watched people rear end each other. Have you noticed that each year with the first snow all the other drivers need to be retrained on how to drive in the snow. I hear it's the same thing with rain. I know a guy who used to work at the Sheriff's office and he said every time it rained someone would slow down cause they couldn't see and someone else would run into them from behind. But yes, I have trouble every year when it first snows. A must watch for how not to drive in the snow and ice. ARC, I think it has more to do with breaking on ice, rather than going fast. This is only my opinion but these are the worst places for driving that I have found. 1. Indiana 1. Jacksonville FL. 2. Florida 2. Dallas TX. 3. Alabama 3. South Bend IN. 4. Ohio 4. Birmingham AL. 6. Oklahoma 6. Orlando FL. 7. Kansas 7. Daytona FL. 8. Georgia 8. Indianapolis IN. 9. Mississippi 9. Columbus OH. 10. Kentucky 10. Boston MA. You haven't seen Carter County drivers from Elizabethton, Tennessee. THEY ARE FREAKING CRAZY!!!! !.............Most of them anyway. I've been through there I agree some of them are bad but they don't hold a candle to the one's on my list. Mostly the Rednecks are what you have to look out for. That is true if the rifle is in the rifle rack better to hit the trees than hit them. That's ridiculous, just because you're a redneck or a blue collar worker, whatever. Doesn't mean you can't drive or you're an idiot. But anyway. There's an apartment complex nearby with a wooden fence around it. The road is an S-curve so when somebody thinks they're invincible going lord knows how fast they fail to make the turn and crash into the fence. And it's happened so many times the complex can't rebuild the fence without doing it all over again. They've pretty much given up. redÃ‚Â·neck /&#712;r&#603;d&#716;n&#603;k/ Pronunciation Key - Show Spelled Pronunciation[red-nek] Pronunciation Key - Show IPA Pronunciation Informal: Often Disparaging. Ã¢Â€Â“noun 1. an uneducated white farm laborer, esp. from the South. 2. a bigot or reactionary, esp. from the rural working class. Ã¢Â€Â“adjective 3. Also, red-necked. 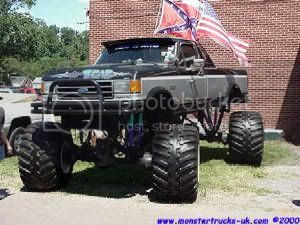 narrow, prejudiced, or reactionary: a redneck attitude. Ã¢Â€Â“adjective 1. of or pertaining to wage-earning workers who wear work clothes or other specialized clothing on the job, as mechanics, longshoremen, and miners. Compare white-collar. Ã¢Â€Â“noun 2. a blue-collar worker. Rednecks are uneducated and blue collar have a skill to hold a job. The most common words spoken before their demise by rednecks are "Watch this!". Lol you wouldn't happen to be from illinois, would you? My Uncle is, and he says the same thing. I used to live in Chicago, then I moved to South Bend. Ah, perfect. I'm up in Maine, so everyone complains about Massachusetts drivers. One hand on 12 oz. double shot latte, one knee on wheel, cradling cell ph one, foot on brake, mind on radio game, banging head on steering wheel while stuck in traffic: SEATTLE..
Four-wheel drive pickup truck, shotgun mounted in rear window, beer cans on floor, squirrel tails attached to antenna: OKLAHOMA. Two hands gripping wheel, blue hair barely visible above windshield, driving 35 on the Interstate in the left lane, with the left blinker on: FLORIDA. in montana you can tell the diference between those that have lived here for a few years and the people that are fresh meat once the snow starts falling. at the first sign of snow, the acclimated montanan has snow tires on, because he hasn't taken them off from the last year yet. seriously, and with good reason too. it can snow in every month of the year here. one hot day in july you could be floating a river to cool off, the next you'll be bundled up in snow pants and boots because it dumped 7 inches overnight. My grandma lives in MA. I wonder how she survives? She drives at about 25 mph on the highway, and everyone else drives at about 110 mph!!! My mom drives pretty fast, and even she gets dirty looks from the drivers in MA! I wonder if more people crash in MA than in any other state in the U.S? Some do, most don't and the rest take the bus. I agree after driveing in Windsor ONT. most don't. From the color of rugged denim and chambray work shirts often worn by manual workers, as opposed to the white dress shirts typically worn by professionals and clerical workers. Working class; engaged or trained in or designated of essentially manual labor. Blue-collar workers represent a diminishing segment of society. Pertaining to the culture of blue-collar workers.